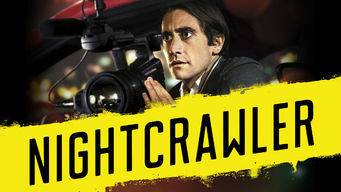 How to watch Nightcrawler (2014) on Netflix Brazil! Sorry, Nightcrawler is not available on Brazilian Netflix, but you can unlock it right now in Brazil and start watching! With a few simple steps you can change your Netflix region to a country like South Africa and start watching South African Netflix, which includes Nightcrawler. We'll keep checking Netflix Brazil for Nightcrawler, and this page will be updated with any changes. Nightcrawler is not available in Brazil BUT it can be unlocked and viewed! A young hustler gets sucked into the sordid but lucrative business of trolling the streets of Los Angeles to film fires, car crashes -- and murder. A photographer makes his name with crime scene shots. His big mistake: going from shooting crimes to committing them. There is a way to watch Nightcrawler in Brazil, even though it isn't currently available on Netflix locally. What you need is a system that lets you change your Netflix country. With a few simple steps you can be watching Nightcrawler and thousands of other titles!